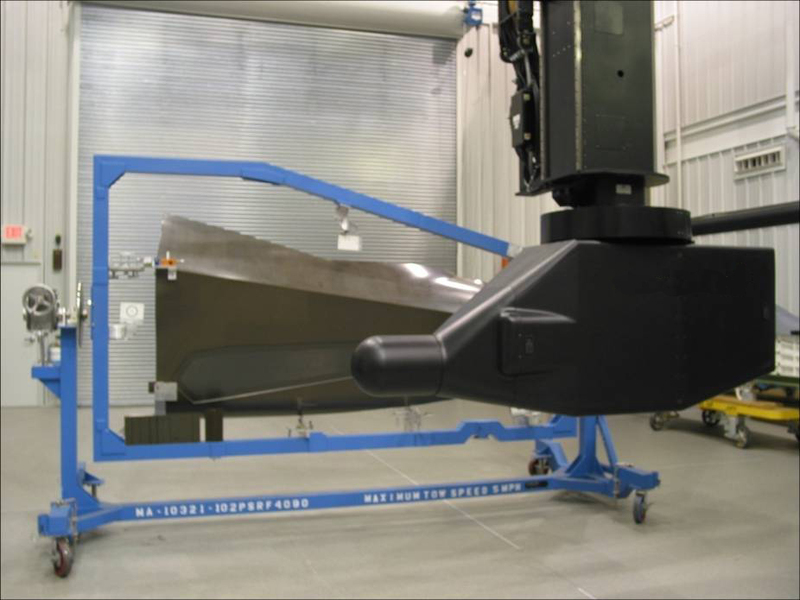 Laser ultrasonic non-destructive inspection systems are used to verify the structural integrity of composite materials. 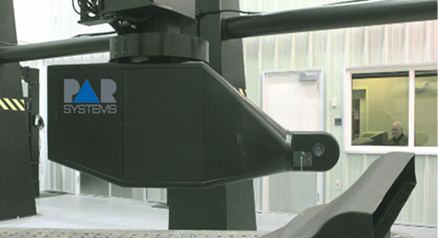 PaR Systems is the only company in the world that builds Laser Ultrasonic systems specifically configured to efficiently analyze aerospace components. PaR's Laser Ultrasonic system, LaserUT®, utilizes high repetition rate TEA CO2 lasers for unsurpassed inspection speeds of up to ten times faster than conventional UT systems. PaR's LaserUT® system is an automated ultrasonic scanning system designed to detect defects (delaminations, inclusions, voids, disbonds, and porosity) in advanced composite laminate structures, such as parts designed and built for high performance aircraft. LaserUT® uses pulse-echo ultrasound and requires only single-sided access to a structure. Laser beams that generate and detect ultrasound are scanned across the testing surface. Ultrasound generation works by a mechanism called thermo-elastic expansion. In this process, a pulse generation laser is directed at the surface of the material under test. The beam is absorbed into a shallow volume of the material, ideally the top 10-100 microns. The rapid absorption of the pulse laser energy creates a localized heating, which results in expansion of the material, inducing a stress wave. Learn more about how LaserUT® works. PaR's LaserUT® Stationary System Tower is the low cost option for Laser Ultrasonic scanning. It works best for small complex shaped structures. 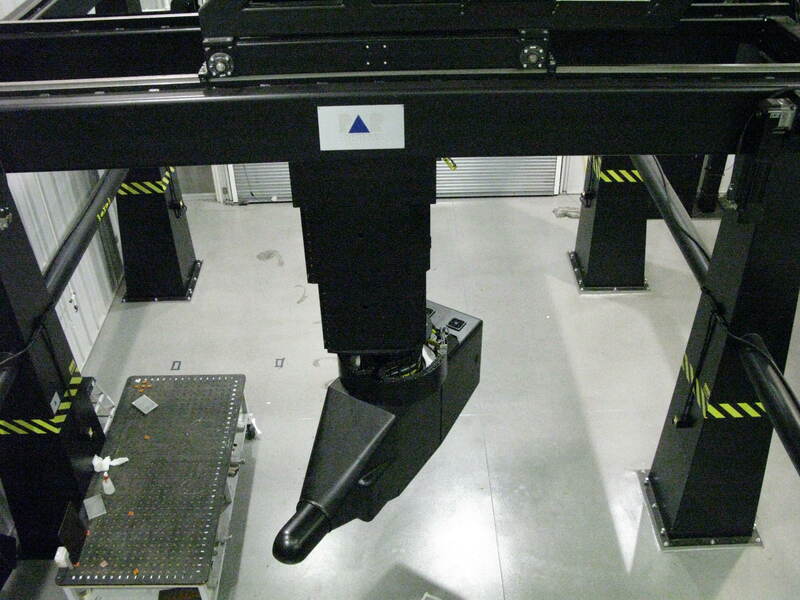 The LaserUT® Premium Gantry is the superior laser ultrasonic non-destructive testing system. This system can handle any kind of part. The LaserUT® Premium Gantry can scan all sides of a part without repositioning, which is especially important if the part is large or heavy. PaR's LaserUT® Modular Tower X-Runway is customizeable for any length without adding much cost. This system is optimpal for scanning one side of long parts such as wind turbine blades, or airfoils. Reduced operating costs by eliminating the tasks of maintaining and calibrating dedicated inspection tooling. Reduces cost by freeing up the floor space and no special foundation required. Reduces environmental and maintenace issues associated with maintaing water tanks, pumps, and filters necessary for conventional UT squirters and phased array systems.